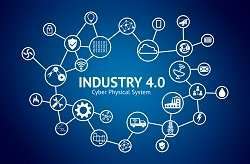 Cyber physical systems (CPS) are attracting more attention than ever thanks to the rapid development of the Internet of Things (IoT) and its combination with artificial intelligence (AI), machine learning and the cloud. These interacting networks of physical and computational components will provide the foundation of critical infrastructure, form the basis of 'smart' services, and improve the quality of life in areas ranging from energy and environment to transportation and healthcare. CPS technologies are already transforming the way people interact with engineered systems in the 'real' or 'physical' world, just as the internet has transformed the way people interact with information. Yet, due to their complexity, the developers of CPS face a major problem: the lack of simulation tools and models for their design and analysis. A team of researchers supported by the EU-funded COSSIM project have recently addressed this issue. They released an open-source framework which seamlessly simulates, in an integrated way, both the networking and the processing parts of CPS, as well as cloud and high-performance computing (HPC) systems. HPC refers to the use of supercomputers and parallel processing techniques for solving complex computational problems. The researchers summarised the outcomes in a press release in the 'Electronic Engineering Journal'. They said the COSSIM framework "was successfully evaluated on an advanced client-server visual search use case that detects instances of objects." Quoted in the press release, Danilo Pau, senior member of the technical staff at STMicroelectronics and one of the partners in COSSIM, said: "The IoT market, in particular, urgently needs AI functionalities to effectively capture its immense growth potential. A powerful CPS and cloud simulator can serve that need by supporting system designers in simulating and co-simulating much more effectively than by using traditional methodologies." He also said that the technology developed as part of COSSIM has the potential to boost system design productivity, and as an open-source framework will benefit from the contributions of the GitHub community. GitHub is a platform where developers can host and review code, manage projects and build software. According to the press release, the COSSIM open-source framework integrates a processing "full-system simulator" with an innovative network simulator. In addition, it incorporates a novel and efficient hardware acceleration process through the use of ST's microcontrollers.